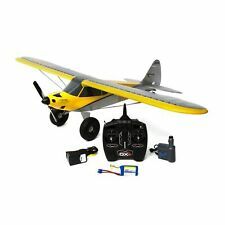 (1) HobbyZone® Carbon Cub S 1.3m RTF. Whether you’ve never flown RC before or you got your first taste of flying with a multirotor drone, the revolutionary Carbon Cub S is the most versatile, capable and easiest to fly RC airplane yet. Whether you've never flown RC before or you got your first taste of flying with a multirotor drone, the revolutionary Carbon Cub S is the most versatile, capable and easiest to fly RC airplane yet. HobbyZone Carbon Cub S 1.3m RTF and BNF Basic - YouTube. The HobbyZone Carbon Cub S 1.3m RTF Electric Airplane is a great aircraft. Whether you've never flown RC before or you got your first taste of flying with a multirotor drone, the revolutionary Carbon Cub S is the most versatile, capable and easiest to fly RC airplane yet. 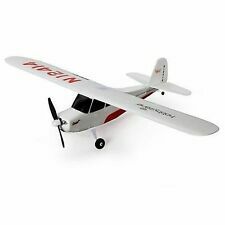 HOBBYZONE DUET RC TRAINER AIRPLANE RTF READY TO FLY RC AIRPLANE HBZ5300 ! Teach yourself to fly with the Duet RTF trainer! This small RC aircraft turns your dreams of flight into a reality. 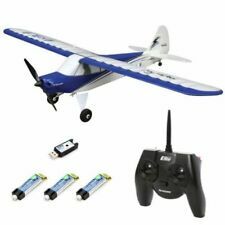 Everything you need to teach yourself to fly in one box, even the "AA" batteries for the transmitter. Hobby Zone RTF Mini Apprentice S 1.2m with 6-ch Transmitter SAFE. HobbyZone Mini Apprentice S RTF. Flying Weight: 25.9oz (735g). Spektrum SPM Neck Strap. E-flite EC3 Device & Battery Connector. E-flite 1300mAh 3S 11.1V 20C LiPo w/EC3. 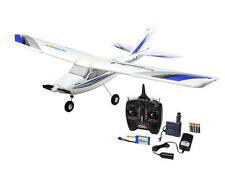 Hobbyzone Champ S RTF Ready To Fly W/ GPS Beginner Trainer RC Airplane HBZ5400. Condition is Used. Shipped with USPS Priority Mail. The HobbyZone Carbon Cub S 1.3m Bind-N-Fly Basic Electric Airplane is a great aircraft. Whether you've never flown RC before or you got your first taste of flying with a multirotor drone, the revolutionary Carbon Cub S is the most versatile, capable and easiest to fly RC airplane yet. The HobbyZone Mini Apprentice S RTF was developed with beginners in mind. This airplane includes features that make taking to the skies easy - even in spaces as small as a local park. Beneath the durable Z-Foam exterior, pilots will find a robust brushless 370-size motor and 18A ESC. The HobbyZone Mini Apprentice S Bind-N-Fly Basic was designed with the beginner in mind. The Mini Apprentice S includes an array of features that make taking to the skies easy in spaces as small as your local park. Whether you've never flown RC before or you got your first taste of flying with a multirotor drone, the revolutionary Carbon Cub S is the most versatile, capable and easiest to fly RC airplane yet. (1) HobbyZone® Carbon Cub S 1.3m BNF. Whether you've never flown RC before or you got your first taste of flying with a multi-rotor drone, the Carbon Cub S is the most versatile, capable and easiest to fly RC airplane yet because it's equipped with SAFE Plus GPS-enabled drone technology. HobbyZone Champ S BNF Airplane. 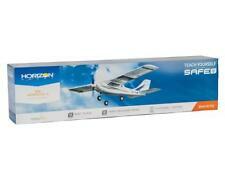 Exclusive SAFE Plus drone technology from Horizon Hobby. You should not use this information as self-diagnosis or for treating a health problem or disease. We will work with you to resolve the issue. 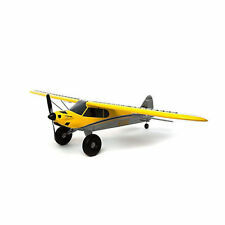 This is the HobbyZone Mini Apprentice S RTF airplane. Designed with the beginner in mind, the HobbyZone Mini Apprentice S includes an array of features that make taking to the skies easy in spaces as small as your local park. One is channel 1 and one is channel 3. The last pictures show remotes powered up and both planes with both spinning and stopped propellers. However, I am not an RC enthusiest and could not get it to fly. Includes everything pictured and an extra red wing and landing gear. 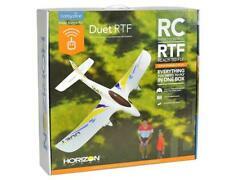 Hobbyzone Duet RC Trainer Beginner Electric Airplane RTF Ready to Fly HBZ5300. Condition is Used. Shipped with USPS Priority Mail. HobbyZone® Carbon Cub S 1.3m BNF. Whether you’ve never flown RC before or you got your first taste of flying with a multirotor drone, the revolutionary Carbon Cub S is the most versatile, capable and easiest to fly RC airplane yet. remote control airplane Hobby Zone red, new gps virtual . Condition is New. Shipped with FedEx SmartPost (2 to 8 business days). Item ID Number.HBZ4900. (1) Hobbyzone Champ RTF Airplane. With DSM2 technology you will enjoy complete freedom from signal interference whenever you fly. 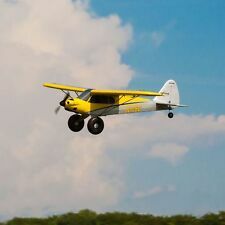 Teach yourself to fly RC airplanes in style with this exciting recreation of the beloved Aeronca tail wheel airplane. Skill Zone 1. Missing the training DVD. WITH FREE EXTRA GENUINE EFLITE 150MAH 25C BATTERY !! Beneath its durable Z-Foam exterior, pilots will find a robust brushless 370-size motor and 18A ESC. SAFE Technology provides multiple flight modes to progress through and the security of instant recovery at the push of a button with the included Spektrum DE radio transmitter.